A week after Thanksgiving? Threw you with that one, didn’t I? It’s a good idea, though, giving thanks. Specifically, this is a very good week to stock up on some thank you cards. 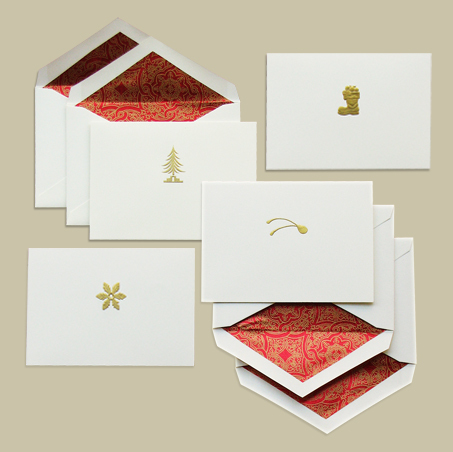 Thanks go out to those who have invited you for holiday parties… yes, even the corporate events and fund raisers. Somebody when to the trouble to organize things, book a caterer and make sure that you had an open bar for the evening. Say, that is swell…thanks! And, as the old saw goes, don’t forget to tip your cocktail hostesses. Or I should say servers. That includes your postal employee, the newspaper delivery guy, the UPS guy and the garbage men (a hot cup of coffee in a go-cup is almost universally appreciated in the busy season…. ), the doorman (if you’re living the high life in a big city! ), and just about anyone else who makes life easier for you. A small, but very elegant gesture in a very busy season. This entry was posted in Elegantology and tagged etiquette. Bookmark the permalink. Couldn’t agree more, I always buy a case of affordable Grower Champagne, affix tasteful labels of thanks and our names to the back, add bows, and have them on hand for all the folks you mentioned plus the barber (mine), sylist (Mrs. H), landscaper, et. al. As an added bonus a few leftovers last year inspired a post New Year’s Champagne brunch. Would love to see more features on stationary. Someone once told me that all of America’s currency is printed on Crane paper and that the company is privately held, and that the arrangement is for life. Can anyone confirm if this is true or some sort of genteel urban legend? We visited the Bureau of Printing & Engraving in Washington, DC, many years ago with our kids and it was the most interesting tour I have ever taken–absolutely cool! But there was no mention of the type of paper used for printing. Crane & Company has manufactured currency and security papers for nearly 200 years. We have continually supplied the United States Treasury with its currency paper since 1879. United States Currency utilizes the most durable banknote paper in the world, achieving the longest life span of any paper currency, and Marathon High Durability substrate is the secret of the U.S. currency’s success. Over the decades, the consistent drive of our technology has been in the durability, printability, aesthetics and anticounterfeiting features of banknote papers. Since being awarded a patent in 1844 for banknote paper with embedded silk threads, Crane has been a leader in developing paper-based counterfeit deterrents, such as advanced security threads, watermarks, planchettes, security fibers, special additives, and fluorescent and phosphorescent elements.